I enjoy the company of animals in life and in artwork. 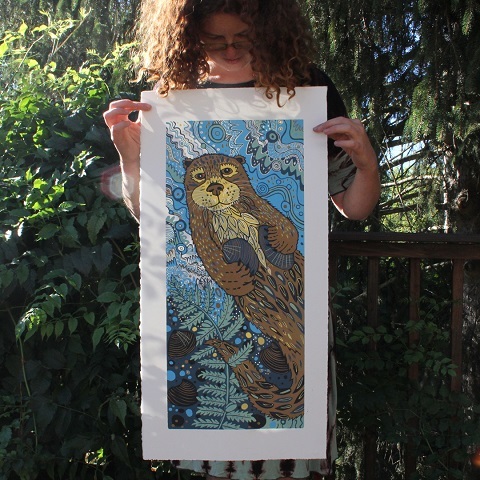 Invasive, endangered, and mythic animals uncurl from my imagination in the form of woodcut prints. 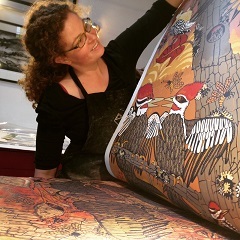 Most of my prints are “color-reduction woodcuts”, which means I take one block of wood, draw an image onto the block, carve then print. 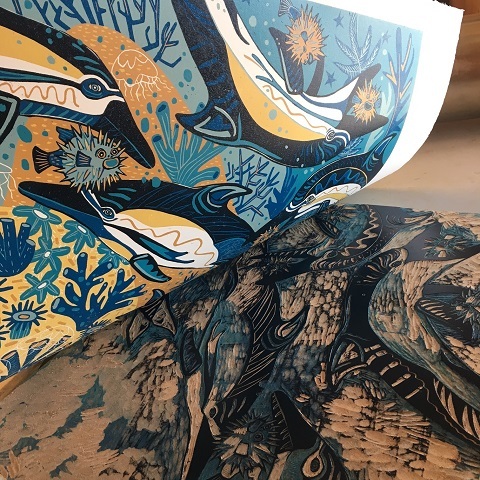 Each printed color comes from carving away the previous layer so when I am finished, all that is left of my wood block is the last color that was printed. I can never remake an image unless I re-carve a new piece of wood. 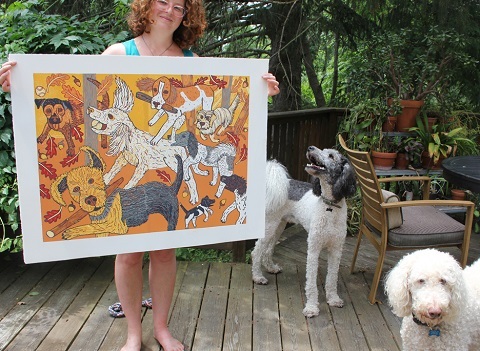 The prints are very limited edition, not a typical Kinko’s reproduction. Jenny’s clay pieces are one of a kind, hand painted, and hand carved.The process for the clay work is make a form, hand paint the image, then carve tiny lines. The technical term is “sgraffito” (carving).